Sharpens on the saw, On the job, In seconds................! Easy to use on-site chain sharpener that Sharpens in 3-5 seconds!!!!! is also available in our eBay store. 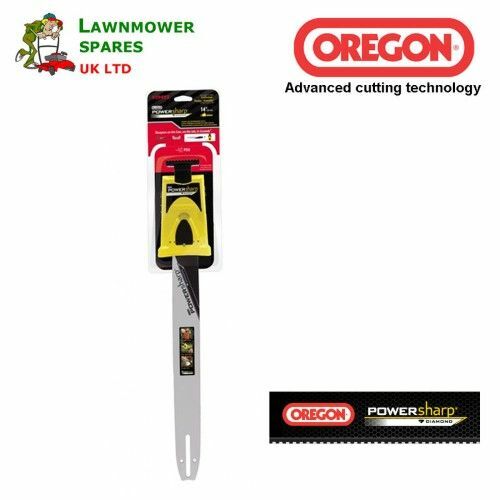 Precision Saw Chain Sharpening System PowerSharp÷ is an easy-to-use, precision sharpening system that gives chain saw users the power to sharpen their chain in a matter of seconds with a simple-to-use attachment Fast. Goes from dull to sharp in as little as 3 to 5 seconds (Up to 10 on electric models). Only three steps to faster, easier cutting. The Bar-mounted sharpener is lightweight, durable, and highly visible. Exact alignment between cutter and sharpening stone insures perfect cutter geometry.